March 17, 2013 is officially St. Patrick’s Day. OnTheRoad is celebrating this auspicious event by thumbing through Charles Gidley’s “The Book of Kells,” a remarkable resource for those, like me, who enjoying looking at pictures as they read. The Book of Kells, often times referred to as the Book of Columba, is Ireland’s greatest national art treasure. It is named after the Abbey of Kells in Country Meath, Ireland, where in the late eighth to early ninth centuries, monks associated with the monastic order of St. Columba created the illuminated manuscript that presents a Latin translation of the Four Gospels and their Preliminaries. The embellishments and richness of its artistry is breathtaking. Charles Gibley gives a wonderful account of the setting, the painters, scribes and tools. He explains the symbols, icons and themes that intertwine all through the manuscript. 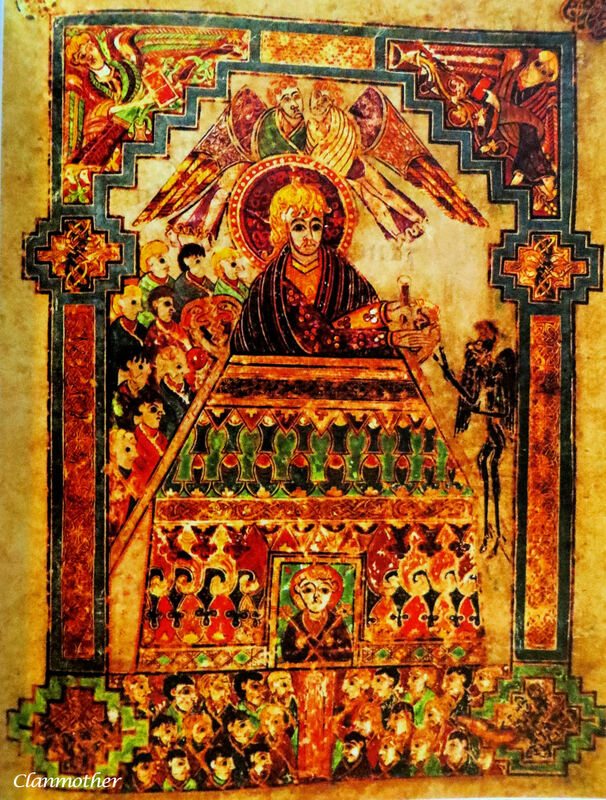 The Book of Kells was a communal effort that required scribes and painters to work side by side to ensure continuity between the words and the art. The Book of Kells “Turning Darkness into Light”, I hope you’ll like this poem. This is the title on the exhibition material of The Book of Kells in Dublin…..
A remarkable contribution to the Irish poets!!! Thank you, my friend. Another avenue to explore!!! I’ve been lucky enough to see the Book of Kells at Trinity College in Dublin… It was fascinating! I hope you had a fun St Patrick’s Day! Looks fascinating! Just checked it out at Amazon and the hard-cover edition is quite inexpensive. I’ve added it to my wish-list. I think you will really enjoy the book. Did you see that the photo was for a “Kindle.” I don’t know how the photos would turn out on that small of a screen. The book is the next best thing to being there!! (that is on my wish-list) Thank you so much for joining the discussion!